Online games – one of the most popular and constantly improving products on the Internet. After all, this is an excellent option for rest after work, when there is not much free time, but you want to relax and distract from ordinary pastime. However, now we are not talking about the usual “shooters”, but about the business of the game. Now the most popular are free games. Why popular are free and so understandable. But why is it that the business of the game now occupies one of the first ratings ?! Let’s figure it out. – development of managerial skills. Popular economic games allow you to try yourself as an entrepreneur, an experienced manager, and promote the business at your disposal to the heights of success, create companies / enterprises, expand the range of services and, most pleasantly, watch how your profits grow. However, they do not require a lot of time, it is enough to allocate a small amount of time per day. The advantages of on-line games is that there is no need to download and install the version you like, but you can just play by going to the Internet. In the browser games you can play not only from your computer, but from anywhere (whether it’s another computer, tablet or even a mobile phone) and when it’s convenient for you. To do this, you just need to have the Internet and your login / password. These include fun arcades and simulators, in which you need to develop your own store, farm, cafe, etc. Such variants are presented on entertainment portals (one of the most popular options is to look for a business game from Alawar) or in social networks. As they say, simply and tastefully. This is an option for those who want more than spending time in the simple economic games discussed above. These are strategies that make you think and develop. The goal is to build a profitable and efficient business. 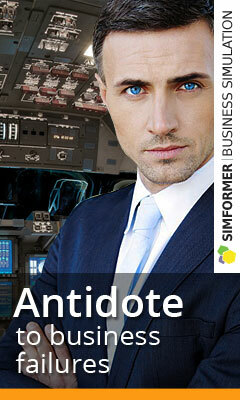 Now the most popular large-scale economic simulator is the online strategy game Virtonomics. Virtonomics is aimed at developing managerial decision-making skills. In this case, you interact not just with a computer, but with other people around the world. Virtonomics is represented in 7 languages ​​and already more than one million people participate in this strategy game. 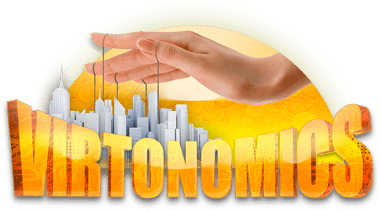 Virtonomics is a business game that will help develop management skills, search for solutions at the tactical level, define the development vector, as well as communication skills, contracts and partner search. It’s time to spend your free time playing with us!